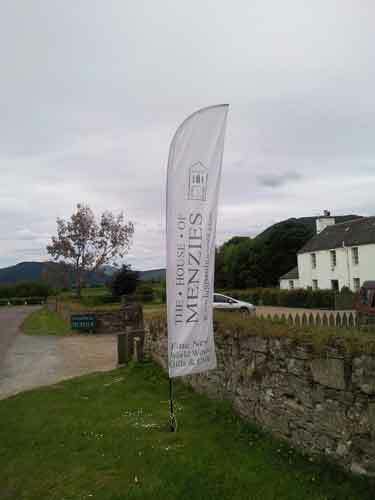 Farmersgirl Kitchen: The House of Menzies, Weem, Aberfeldy. If you should find yourself in Scotland heading up the A9 to the Highlands, take a moment to detour to the village of Weem via Aberfeldy where you will find the House of Menzies We were given a recommendation to visit there for lunch and we were not disappointed. 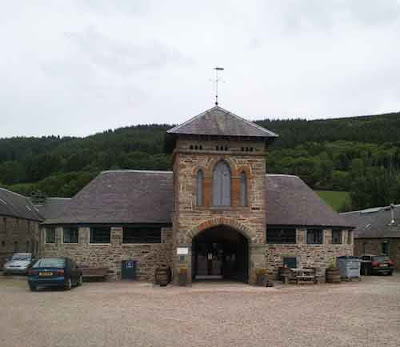 The building was converted from Castle Menzies Farm and holds a cafe, specialist wine store, gifts and art. 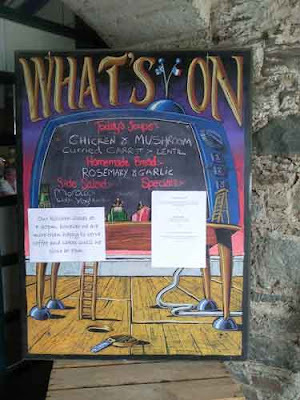 This colourful board greets you at the door with the specials in the cafe and other events. 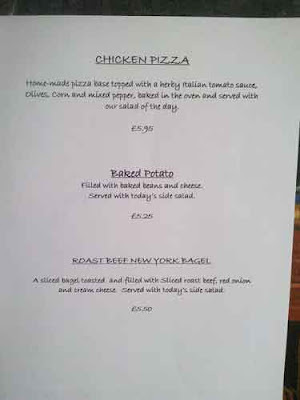 The specials menu doesn't look particularly different but the prices are very reasonable for the area. 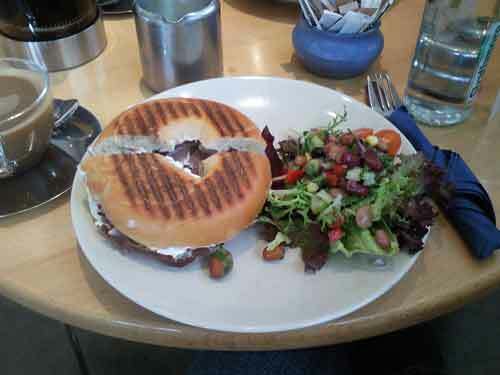 I had the New York Bagel from the special's menu, it was delicious, well presented and the salad was excellent. 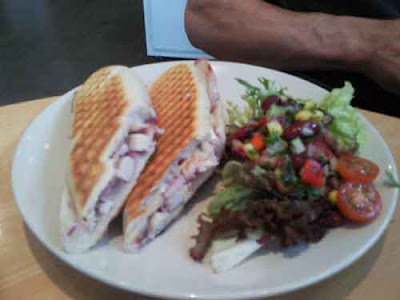 My husband had the chicken, bacon and brie pannini from the main menu, again with a really fresh and tasty salad. 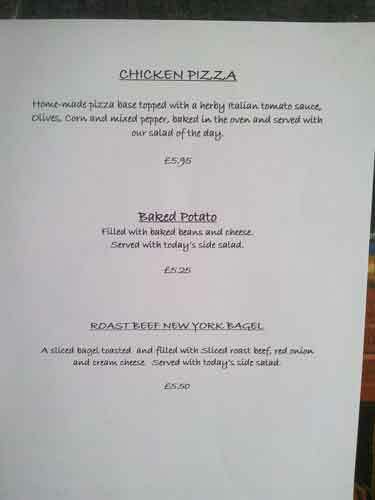 Apologies for the photos they were taken on my phone! 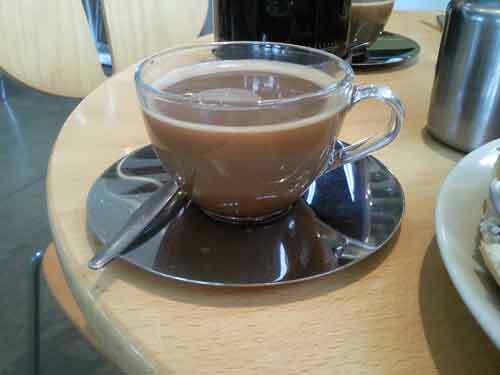 Best of all, we ordered a large cafetierre of coffee for two and it was served in these really cool cups & saucers. It was also some of the best coffee and best value we had all week. There were some lovely cakes and the soup with homemade rosemary & garlic bread also looked excellent, but I don't think the other diners would have appreciated me taking photos of their lunch! Sounds good and always useful to know of somewhere good to stop off if passing! ... I love finding good coffee! So many times the coffee is substandard to the rest of the meal. I'll remember this for when we are travelling north!